Jolovan Wham, the former executive director of the Humanitarian Organisation for Migration Economics (HOME) will be charged in court this Wednesday. He is accused of organising public assemblies without a police permit and refusing to sign statements on multiple occasions. Police said that Wham, 37, created a Facebook event asking the public to participate in a vigil outside Changi Prison Complex on the 13th of July. This event took place even when Wham stated publicly that a permit had not been acquired. 17 other people are reported to have been investigated for various roles in the organisation and participation of this illegal public assembly. This includes sociopolitical website editor Terry Xu and freelance journalist Kirsten Han. 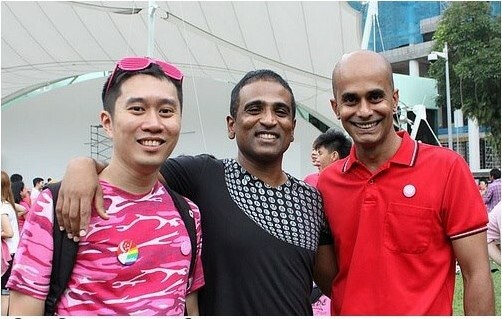 The activists held the vigil for 29 year old Malaysian Prabagaran Srivijayan, whom was convicted for importing 22.24g of heroin into Singapore. Srivijayan was hung on the 14th of July. This is not the first illegal assembly that Wham organised. On the 3rd of June, he organised a “silent protest” on an MRT train together with 8 other individuals. Wham also pasted two A4 sheets on an MRT train panel, which constituted the office of vandalism. The event was a protest against the detention of 22 persons, accused of a Marxist Conspiracy under the Internal Security Act 30 years ago. On the 26th of November 2016, Wham organised an indoor public assembly featuring a foreign speaker Joshua Wong, Hong Kong’s pro-democracy activist. Police had advised Wham to acquire a permit, however he decided to proceed without on. Wham explained on Facebook that although a permit was not granted, his co-organiser “went ahead anyway because it was harmless and straightforward discussion about social movements”. Persons found guilty of organising a public assembly without a police permit can be fined up to $5,000. Repeat offenders can fined up to $10,000, jailed for up to 6 months, or face a combination of the punishments.